With the support of nearly one million members and partnerships with large public and private supporters, the nonprofit Arbor Day Foundation carries out its mission as the world’s largest tree-planting organization. As the Foundation expanded, leaders recognized the need to replace its aging system with a flexible solution that the IT team could customize to manage interactions with an increasingly diverse group of supporting organizations. The Arbor Day Foundation opted to take advantage of the xRM application platform layer that underpins Microsoft Dynamics CRM to rapidly develop and deploy customized relational applications for its many conservation programs. This new platform helped the organization reduce application development time by as much as 300 percent, improved agility and scalability by empowering IT to drive change and innovation, and strengthened overall productivity. For more information on the project, download the case study here. With nearly one million members, the Arbor Day Foundation is the largest nonprofit tree-planting organization in the United States. The organization manages a high volume of correspondence and transactions with individual members, corporate sponsors, and public partners. The Foundation's custom-built member relationship management application, which it relied on for nearly two decades, was designed primarily around interactions with individuals in just a few of its existing outreach programs. As the Arbor Day Foundation grew, adding dozens of new partners and programs in the last decade, its need for a more sophisticated constituent relationship management system increased. "Previously, 75 percent or more of our operations centered on working directly with members," says Mike Ashley, IT Director for the Arbor Day Foundation. "As we’ve engaged more supporters, partners, and sponsors in connection with new conservation and education programs, our need to manage interactions with various groups has intensified." The organization’s six-person application development team extended the system whenever possible to handle nuances in communicating with corporate partners and government entities and to support newly launched programs. Over time, however, this model became unsustainable. Developing add-ons and applications to augment existing functionality often required specialized skills sets, inevitably increasing project costs and delaying deployment. And, each new application required IT staff to create and maintain large amounts of additional custom code, which increased the risk of failure and hampered IT efficiency. The Foundation's leadership, including Ashley, recognized the need for a more versatile constituent relationship management system to replace the organization’s aging system. In particular, they were looking for a Microsoft .NET Framework–based solution built on a Microsoft SQL Server database that would combine comprehensive service, marketing, and sales management functionality with a highly extensible architecture. After evaluating several enterprise solutions, the Arbor Day Foundation turned to Microsoft Gold Certified Partners Axonom and InterDyn BMI for help in implementing Microsoft Dynamics® CRM to take advantage of the xRM platform. xRM is the flexible, dynamic, easily extensible platform upon which Microsoft Dynamics CRM is built. "We wanted a system with a solid core structure that could be tailored to the unique ways we interact with our diverse constituencies," says Ashley. "xRM offers the right blend of native functionality and scalability; it meets our needs and we can still drive it wherever the organization’s needs go in the future." 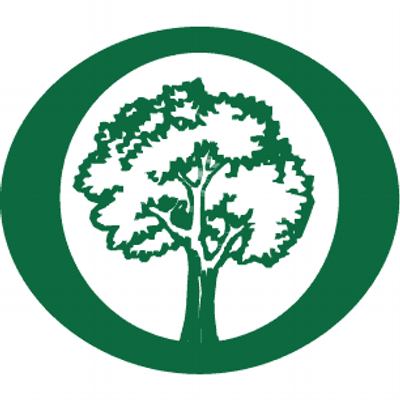 In September 2008, the organization launched Tree Campus USA, an initiative that recognizes excellence in campus tree management. As part of the rigorous qualification process, applicants must establish a tree advisory committee and demonstrate evidence of a campus tree-care plan, complete with budget allocations to support the effort. The employees who oversee this fast-growing program, which now includes more than 30 colleges and universities, use a tailored application developed on xRM to track correspondence with school officials and student leaders. This includes handling all interactions throughout the application process and managing outreach to all prospective and current member organizations. In addition, the Foundation uses Axonom’s Powertrak Portal module, a Certified for Microsoft Dynamics add-on that integrates seamlessly with Microsoft Dynamics CRM. The Powertrak Portal will enable external collaboration with the Foundation’s public partners in the Tree Campus USA application process, increases the efficiency of Foundation staff, reduces the cost of serving the partners, and increases partner satisfaction. After the successful rollout of the application to support the Tree Campus USA program, the IT team continues to deploy new solutions to more user groups across the organization. The team especially appreciates the core relationship management capabilities and shared resources of the application platform layer that speed development. And, the user interface is tightly integrated with applications in the Microsoft Office system. This saves time, lets IT focus on development tasks rather than training, and gives employees the flexibility to learn new functions and build proficiency at their own pace. "We now have 60 people throughout the organization who use the applications built on xRM every day to manage practically every aspect of the programs they run," says Ashley. "In many ways, xRM is like the root system that continues to support the growth and evolution of our organization." With xRM, the Arbor Day Foundation has boosted the efficiency of IT development tasks and increased overall employee productivity. Today, the organization provides enhanced service to the myriad groups, agencies, and individuals that it works with each day. Ashley estimates that his team completed development of the application to support the Tree Campus USA program three times faster than would have been possible with the organization’s previous system. “We set a time frame of four weeks from start to finish for building and rolling out the application, and we comfortably hit that target,” says Ashley. “We estimate that it would have taken three months or more to extend our old system in the same way.” Ashley attributes this to the capability in xRM to reuse platform components and handle much of the configuration of new applications through a simple point-and-click interface. The ability to deploy new applications in substantially less time means that the Arbor Day Foundation can cost-effectively meet the unique needs of its emerging programs. Since adopting xRM as a single, shared platform for managing relationship data, the IT team has developed custom applications for 15 distinct program offerings. By enabling more efficient and responsive interaction with partners and sponsors, xRM helps drive successful new outreach efforts. "We are now much more agile in handling internal IT requests, which helps us equip departments across the organization with the tools they need to expand the reach and success of our programs," says Ashley. Because employees find applications built on xRM easy to use, adoption has been fast and broad. In fact, Foundation leaders, including Ashley, are encouraged by the number of employees who have quickly excelled through self-driven training. "It’s always exciting when employees come to show you the latest feature that they’ve mastered," says Ashley. Furthermore, widespread adoption and accelerated proficiency with the solution have amplified productivity across the organization. Says Ashley, "Over the last six months, we’ve continued to add programs and expand our relationships with partners and supporters without the need to increase staffing levels."